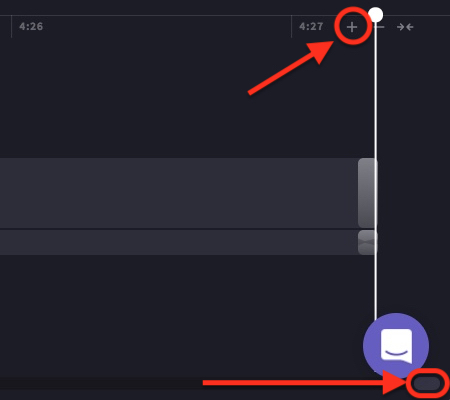 Sometimes your video will include blank space because a very small clip of only a few milliseconds has been accidentally left behind further down the timeline. If you're zoomed out, you won't see this clip. This will zoom out your timeline to show the full length of your project. If there's a lot of blank space at the end, you probably have a stray clip. 3. Drag the white bar to the right along the timeline until it won't go any further. This should be the location of your stray clip. 4. Repeatedly click the + button in the top right and use the scroller at the bottom of your screen (drag it to the right) to zoom in until you can see the clip. 5. Click on the clip (so it is highlighted) and hit the delete key on your keyboard, or right click on the clip and click the trash icon. Now your white bar should snap back to the real end of your project. If it doesn't, you may have another stray clip. Delete it in the same way you deleted the first one. 6. 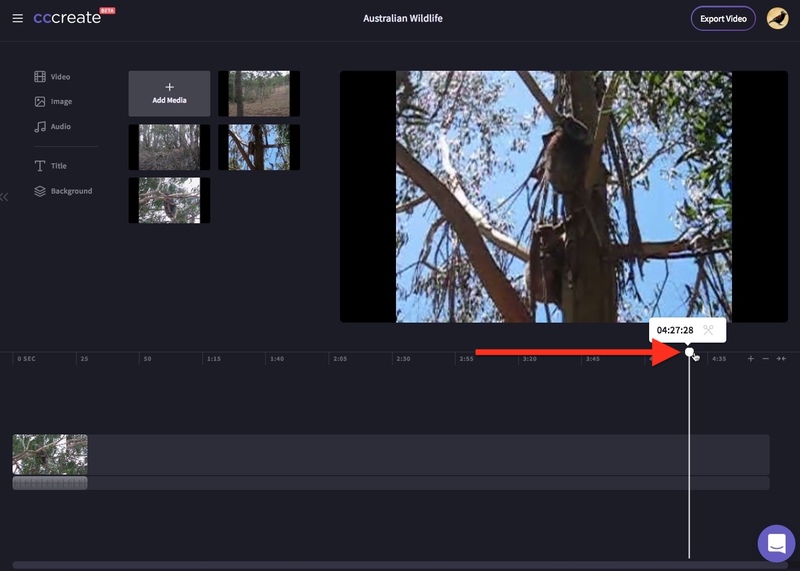 Zoom out (or use the fit to screen zoom button) so you can see your full project in the timeline. 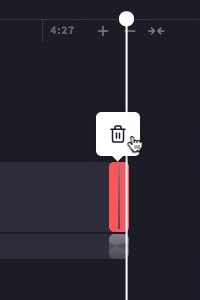 You will know you have no further stray clips if you can't drag the white bar beyond the end of your project. Now your project should export correctly without blank space. 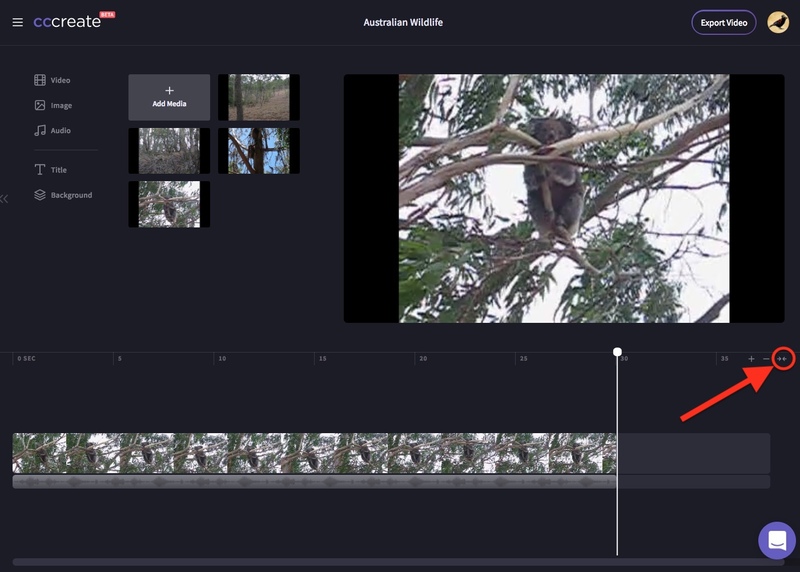 If you don't have a stray clip, and the problem persists, there may be a different error causing the exported video to have extra frames in it. 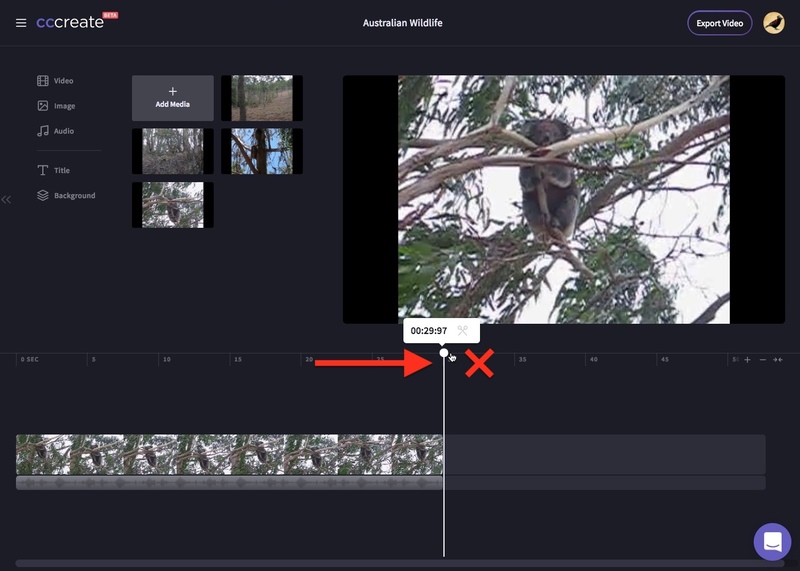 If you're in a rush and want your video without the black at the end, we suggest importing the resulting video into our converter and compressor tool, and using the trimming tool there to remove the black at the end of the video.